A simple seafood recipe with huge flavor. 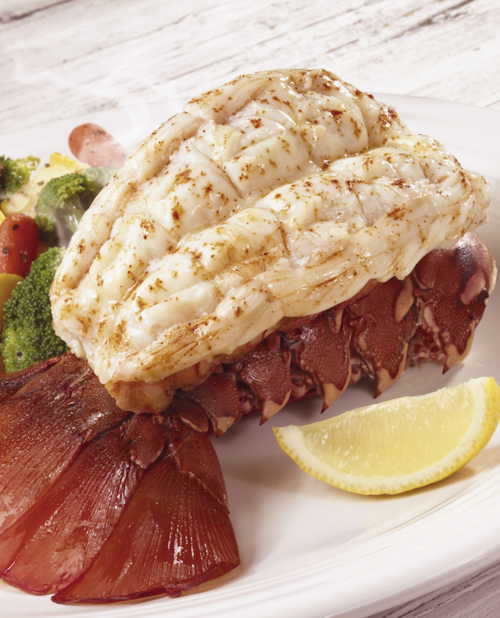 Split lobster tails in half lengthwise. Remove sharp edges. Sprinkle each with parsley and salt and pepper. Pour olive oil and lemon juice on each tail. Pour water on bottom of a shallow 7 x 11 inch baking pan. Place lobster tails in pan.